(8″ serves app 12) Our version of this timeless classic. 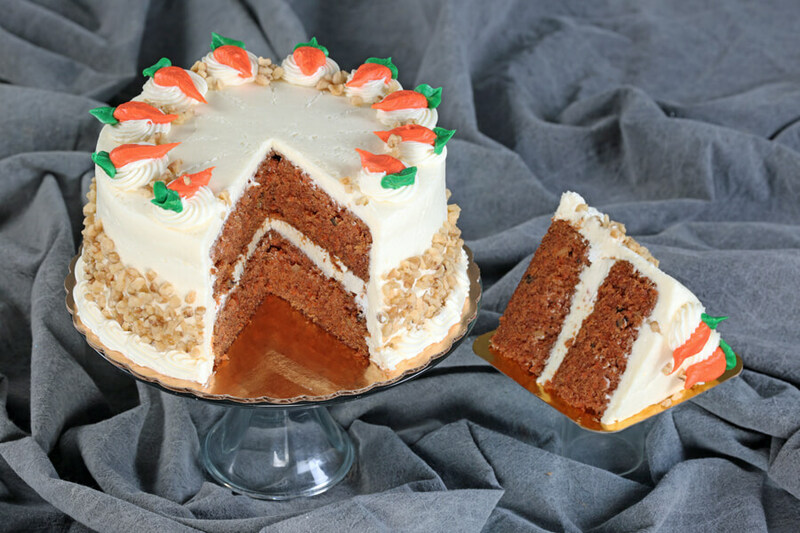 It is made with hand shredded organic carrots and baked to perfection. Of course, it is adorned with cream cheese frosting and nuts. No raisins or pineapple.